With FIFA continually dominating the football franchise, it must be becoming harder for EA Sports to continually polish the game each year. Yet, FIFA 18 has done it once again with intelligent gameplay and stunning presentation throughout all the modes. From playing with friends, to competing against others to creating your own football story, FIFA 18 has everything you could ask for and is a must buy for any football fan. And for any FIFA fanatics, GAME are offering an exclusive version of the Ronaldo edition that will not only give you three days early access and Ronaldo's card for a few Ultimate Team games, but also a Pele football and a real life Ultimate Team jersey. And on top of that, pre-order any version of FIFA 18 from GAME and get a NOW TV entertainment pass for a whole month! With any game, the actual gameplay itself is crucial. 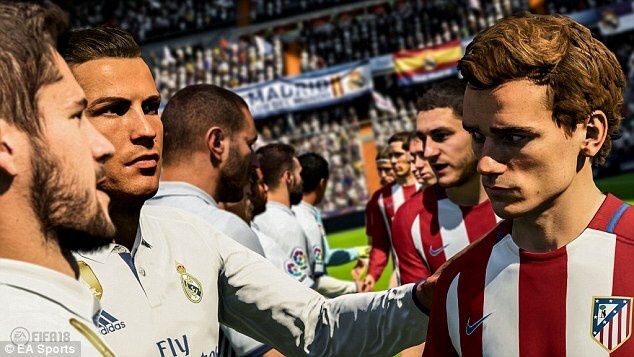 FIFA has always been such a polished game that the gameplay has never needed an overhaul. That doesn't mean that there haven't been changes though. Playing FIFA 18 feels different - the pacing is slower than in previous years but in a good way. It's methodical, it's intelligent. Gone are the years of mindlessly sprinting down the wing (although of course that does still occasionally work) and instead beautiful, flowing, passing football is encouraged. And it is now a lot easier to play that style of football because defenders are actually vulnerable again. Last year, scoring goals was pretty difficult because the AI would do most of the defending for you. Now, that onus is back on you, and it results in a lot more goals and much more interesting games. My first Ultimate team game finished 4-3, and most of them followed suit. Sacrificing pace by no means sacrifices fun, you just have to work for your goals which feels much more satisfying. And speaking of satisfying goals, shooting feels better than ever before. Finesse shots actually feel useful for the first time since they were overpowered back in FIFA 12 but this year they remain balanced, finesse shots float into the far corner but only in the right situation. And now long shots feel meatier, you really feel the pace and power behind the ball. Finesse shots should float into a corner but if you're lacing it with Ronaldo, the ball should rocket past the goalkeeper and that is now the case, those shots really do feel lethal. FIFA 18's gameplay couldn't be much truer to real matches but it is off the pitch, behind the scenes where the game really blossoms into something special. The FIFA franchise has been dominant for years to the point where they can only really make small changes at a time. And it is the tiny details that long-time fans will really appreciate. Online benefits hugely from a tiny countdown that plays after every pause, meaning you are never caught off-guard after your opponent randomly pauses for 30 seconds. And on top of that, you can queue pauses during cut scenes meaning it is easier for you to make some substitutions after you have just conceded, or ideally if you just scored and want to cement your lead. Or if you don't want to fiddle around and waste time on the menus, the new 'quick subs' feature is one of the best additions to the game. With the press of a button, you can make a predetermined substitution during a cut scene; saving valuable playing time and also ensuring you remember to keep some fresh legs on the pitch. And online in Ultimate Team will be funner than ever with the edition of Icons. Replacing the legend cards, Icons offer three versions of every legend with each representing a different stage of their career. Not only does it mean you have more chances of packing an Icon or receiving an Icon for your draft, Playstation 4 players can join in the fun as for the first time as legends were previously exclusive to Xbox. 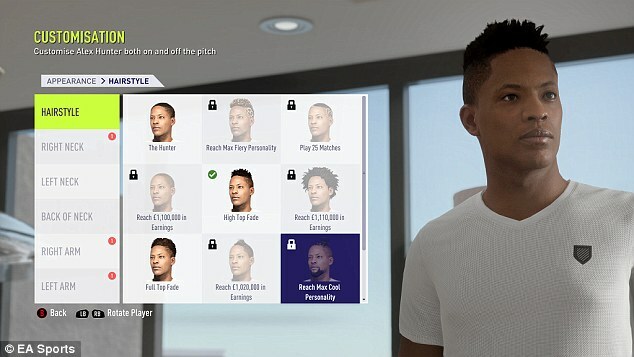 Another welcome feature in FIFA 18 is the return of Journey mode as Alex Hunter goes abroad. A change of scenery adds a heaping of style to the addictive story mode that will have its own review later this week. 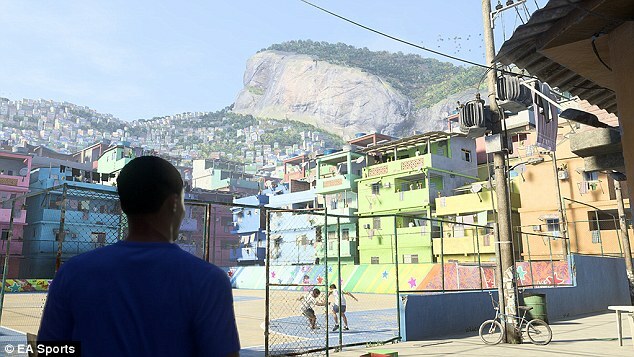 The story opens with Rio de Janeiro as the stunning backdrop and the mode makes the most of new regionalised stadium atmospheres and broadcast overlays with a pre-season tournament in Los Angeles. Now that Hunter is further into his career, we get a real feel of what it is like being a professional footballer, including the mad rush of the press and agents during deadline day. And Journey isn't the only mode to do that. This year, career mode feels more realistic and immersive than ever before. Press conferences bring the news bar to life but the real star is the new transfer negotiation system. 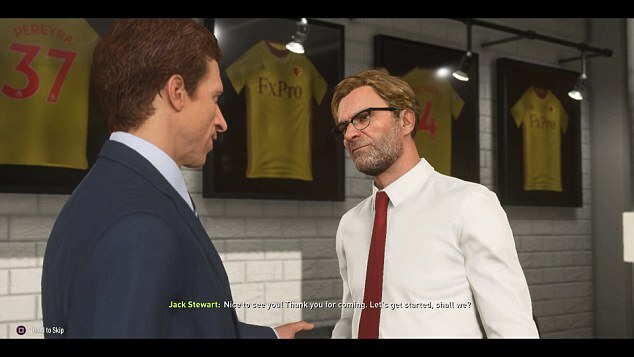 Now, when trying to buy a player, you go into an interactive cutscene in which you speak with opposition managers and agents in order to negotiate your deals. We all know the funnest part of career mode is the transfer window and this makes it even funner! It allows you to negotiate a transfer fee and wages all on the same day. You no longer have to waste two crucial weeks of the window haggling the price of a player. Plus if you want to solve a transfer quickly, you can delegate it to another staff member, giving them your financial restrictions and allowing them do all the hard work for you. 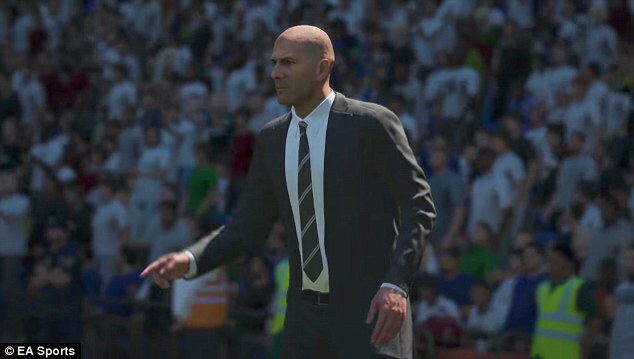 It rejuvenates career mode and is a feature that upon reflection, was sorely needed. And on top of that, another beloved mode that needed some love is Pro Clubs. New skill trees, similar to what you find in other games such as the Far Cry series, means it easier to customise your player than ever before. You can even have three saved slots of skill progression, meaning you can fill in at centre back or striker for you team without having to worry about changing all of your player's stats jsut for one match. And for extra customisation, you can even create your own away kit for bonus style points! 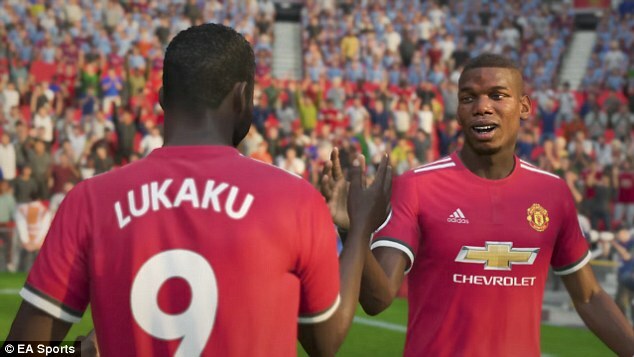 Every mode in FIFA 18 has improved since its predecessor, and with more challenging gameplay and interactive crowds, it's an incredibly satisfying experience. The wait for the next Saturday 3:00pm kick-off is too long, this fills that football craving. Beautiful scenery, beautiful passing moves, beautiful shots. 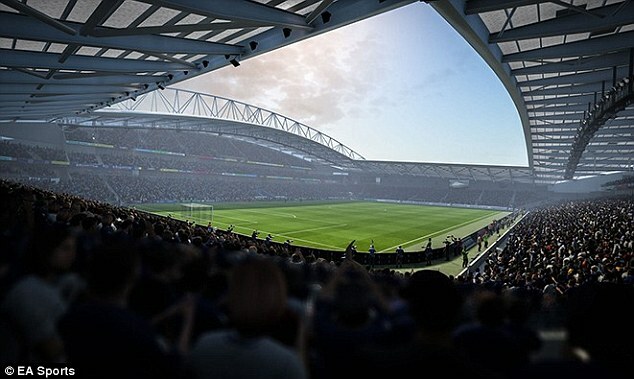 We've repeatedly heard football labelled as the beautiful game but that doesn't do FIFA 18 justice, it is outright gorgeous.